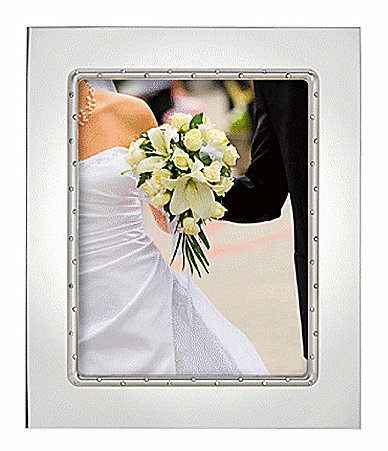 This silvertone 8x10 picture frame is a nice way to show a cherished photo and makes a greate engagement or wedding gift. Crystal gems line the frame opening like lights on a movie marquis. This items is available with and without engraving.